Montessori term papers examine the educational philosophy of Maria Montessori. Maria Montessori developed Montessori education. She developed this educational philosophy in 1897 while at university. Montessori based her form of education on her observations of children and how they react to their environment. Montessori education became popular in the United States in the early 1900s. Its popularity dwindled by the 1920s. Montessori education returned again to the United States in the 1960s. Montessori education covers the expanse from age 3 to 18. Paper Masters can compose a custom written research paper on Montessori that follows your guidelines. Montessori theory is based on human development combined with education. There are two parts to Montessori education. The first part is the how the child or adult interacts with their environment. The second part is the belief that children have an innate disposition toward psychological development, and that given the opportunity children will develop. According to Montessori it is the job of the educational system to respond to these tendencies because they are present in all levels of human development. Part of Montessori education is the use of a “prepared environment.” This means that the learning environment should be conducive to different student needs. The environment should also provide students with the educational materials needed for their learning and development. Montessori saw that development was divided into four different development stages or “planes.” These planes covers ages birth to six years old. In this plane, children are psychologically and physically developing at a very fast rate. Children in this plane begin to learn speech and communication skills, work on sensory skills, and develop social behavior. The second plane covers ages six to twelve years old or the primary grade students. During this time, children continue to develop physically and psychologically. The goal of this state is to promote intellectual independence. The third plane is from age 12 to 18. This time is also known as adolescence and puberty. The goal of this plane is to prepare children to be an adult within society. Finally, the fourth plane covers age 18 – 24. Montessori herself did not create a goal for this final stage. 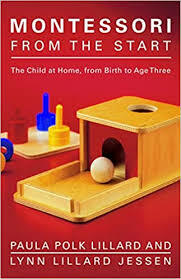 The Montessori Approach Research Papers discuss how the Montessori approach encourages children from birth to 6 years of age to gather information. Montessori Preschool research papers examine Montessori education that is based on the self-motivation that young children exhibit when learning. Kindergarten Classrooms Research Papers delve into an example of an order placed for a proposal coming a public kindergarten classroom and a montessori kindergarten classroom. Cognitive and Psychosocial Development Case Study Research Papers looks at the life of an eight-year old Caucasian male and keep track of his development. Early Childhood Education - Current research suggests that children who attend preschool or kindergarten will reap the benefits over their entire lifetime. Child Psychology is the branch of psychology that focuses specifically on children. Order a research paper on child psychology from Paper Masters. Development of Adolescence -This assignment will enable students to explore an area of interest in the study of human development in an in-depth manner and provide students with practice. Paper Masters writes custom research papers on Montessori and examine the educational philosophy of Maria Montessori.